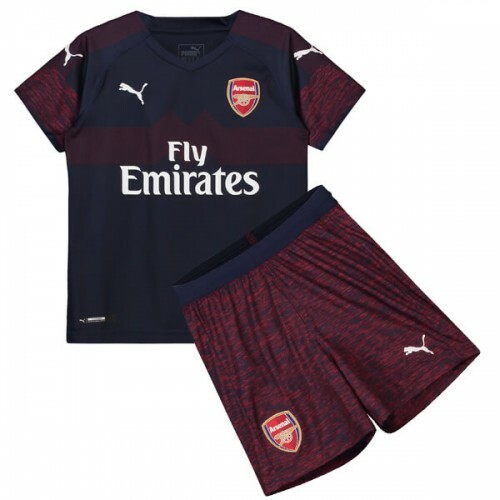 This the Chelsea Away Kids Football Kit 2018 2019. It’s a new season and a new manager for Chelsea. Maurizio Sarri will bring his entertaining style of football to West London. Heat press federation badge is lighter and breathable. 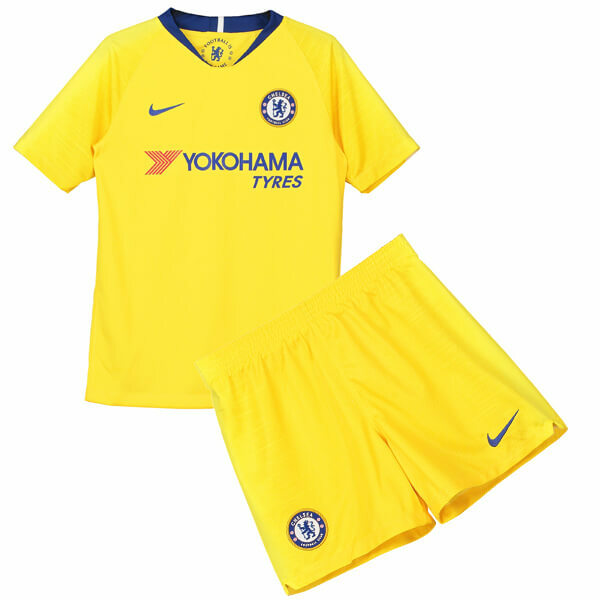 The new Chelsea 2018-2019 away kit is yellow in a rather basic design with just a subtle zig-zag pattern appearing on the sleeves in ‘ice yellow’. 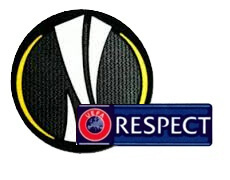 A ‘Football is the game’ (second line of Chelsea’s club anthem ‘Blue is the colour’) pride graphic appears on the inside neck of Chelsea’s 18-19 away jersey. Blue trim in the form of the collar, Swoosh and Yokohama Tyres writing round off the simple look of the Nike Chelsea 2018-2019 away shirt. SoccerLord provides this Cheap Chelsea Away Kids Football Kit also known as the Cheap Chelsea Away Kids Soccer Kit with the option to customise your football kit with the name and number of your favourite player including Eden Hazard, Willian, Cesc Fabregas an iconic player such as Gianfranco Zola, Dennis Wise or even your own name.